We have carefully picked a wide selection of books that will help you with your endeavors of becoming a modern trader. They all are related to stocks, futures, and crypto. In fact, each of them takes a specific dive into one of the categories we have identified. Enjoy. These are fundamental books that educate about economics, money, and theory of trading. Mr. Ferguson has created a true masterpiece by the encrusting history of our society into the massive track record of the financial evolution. Not only one begins to understand a complete landscape of the today’s financial instruments but also is able to track the path of their establishment. With Ferguson, you will learn how first equities and stocks appeared, what role the banking system played in the world exploration and later industrialization, and even peek at maestros of hedge funding. Get it. 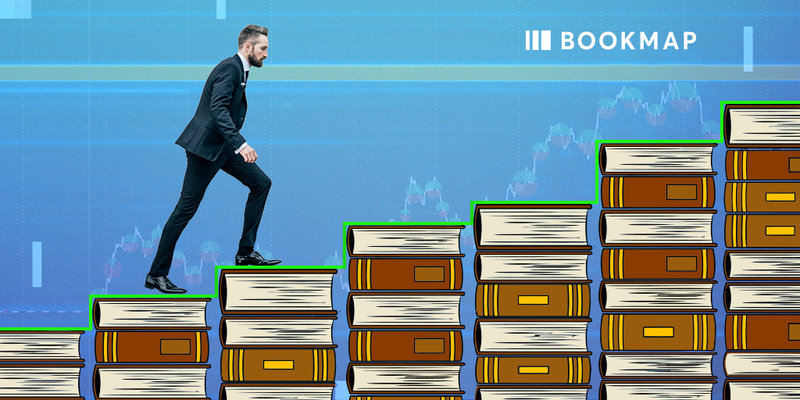 Next book has already served thousands of people as the Trading Bible offering the concepts of technical analysis and helping to apply this knowledge in the futures and stock markets. Understanding indicators and being able to read charts is crucial in both trading and investing. The author leads his readers through an accessible overview of the technical analysis, prioritizing the futures markets. Technical Analysis of the Financial Markets is the basic and first book in trading. Get it. This colossal work is a continuation of the field of technical analysis. Described as the encyclopedia for a reason, Bulkowski’s book elucidates performance statistics for bull and bear markets. The revised and expanded second edition of this bestseller includes 23 new patterns, containing a second section dedicated to ten event patterns. Thomas Bulkowski teaches how to trade during the significant events: quarterly financial reports, retail sales, stock upgrades, and downgrades. It is a must-have reference for the modern trader. Get it. One of the key ideas that Mr. Lynch shares with us is the advantage of the average investors before professionals. Since we encounter products and services right, left and center, paying attention to the best ones can help with finding the best companies to invest in before the analysts even discover them.Read it. There is one more critical foundation that the modern trader ought to comprehend: Emotional Intelligence. Based on his expertise in neuroscience and trading, Ravee Metha revisits long-held assumptions and beliefs. He implies that a good venture starts with introspection.Get it. An even deeper insight into the mindset of a successful trader. Schwager’s bestseller became a classic for the deeply insightful interviews with financial stars like Bruce Kovner, Michel Steinhardt, Ed Seykota, Tom Baldwin, and Marty Schwartz. In Part One, the author interviews experts in futures and currencies, who turned thousands of dollars into millions. Part Two covers mostly stocks while Part Five refers to the psychology of trading. “There is no other book like this,” says Nassim N. Taleb, a former derivatives trader.Get it. For true geeks of finance, we offer to review a 40-pages long working paper by Aoki and Nikolov. The authors have made their research for the European Central Bank and a number of other reputable financial institutions. This particular article reviews the significance of regular financial bubbles to the monetary system and society overall. Besides, it gives a glimpse at how to spot one and which poses a true danger to the financial system. Although this scientific approach with vast formulas can become a prerequisite for entering a short position, one must remember the educational purpose of the work.Read it. DOM is short for Depth of Market. Learn more about market depth and how to read price levels which are updated in real time. This short guideline will lead you through depth trading basics and setups that are applicable in most types of trading. It also includes numerous illustrations that become handy during practical application of knowledge.Read it. Dalton’s work is the core foundation on Volume Analysis amid structured knowledge about order book and order flow. It has a massive value squeezed into 275 pages — the experience that normally would take traders years to obtain. The Mind over Markets covers market structure, trending and bracketed markets, day timeframe trading and pattern recognition. It also teaches about long-term trading and what markets to avoid. The approach is elegant and simple — the author shows how traders and investors can quickly learn the nuances, features, and signals of the market in five basic steps.Get it. From breakouts and pullbacks to huge volume and mean-reversion setups, Ivanov explains which strategies fit different markets. His key message: a good trader adapts to changing markets and makes money both in a bull and bear market. It is one of the most practical trading books ever created since it directly plunges into trading setups. Learn what strategies to use, when, how, and at which point to exit them. It is a game changer for the diverse market environment.Get it. With over 750 reviews and a 4.7/5 rating, this book deserves your time and a place on a bookshelf. It focuses specifically on stocks and develops a definite understanding of ABCD Pattern, Bull Flag, VWAP, and other trading strategies. A Ph.D. in Chemical Engineering but a trader by profession, the author knows what discipline in trading is. Get it. Wyckoff worked on the Wall Street during the Golden Age of technical analysis. He has gathered all his day trading experience and crystallized it in one vivid book. The very fact that some readers argue regarding the relevance of the century-old book underlines the ignorance of human psychology. As financial history repeats in cycles, this should be a great motivation to reflect on the Day Trader’s Bible. You will find yourself returning to it frequently. Read it. If you think we are providing you with technical literature only, don’t get mistaken. This enjoyable book will lead you through the entertaining thriller of economic endeavors as Martin “Buzzy” Schwartz shares his autobiography. “… most people think that they’re playing against the market, but the market doesn’t care. You’re really playing against yourself…” Get it. In his book, Douglas reveals why most traders lack consistency and help them to overcome the innate mental habits that cost money. The author examines popular myths about the market and uncovers them one by one teaching readers to look beyond random outcomes and understand the true reality of any taken risk. Get it. Some call it a genuine reword of Wyckoff. The book analyzes markets one bar chart at a time, recreating the ambiguity of actual trading. It also emphasizes reading price/volume charts without overcomplicating it. After completing Trades About to Happen, one can apply its knowledge on the nanoscale in the order book and utilize such concepts as climax volume and absorption. Besides, it includes a short study guide in the appendix to assist readers with mastering the material.Get it. Trading and Exchanges covers securities and contracts, the marketplaces where these are traded, and the rules that govern them. You will learn about brokers, dealers, arbitrageurs, retail traders, rogue traders, and how traders differ from investors and gamblers. There is also significant information about exchanges, dealer networks, ECNs (electronic communications networks), boards of trade, crossing markets, and pink sheets.Get it. Lewis appeals to a reader with a strong message: there are insiders on the Wall Street that rig the market. And this concerns even those who only have a retirement account. To most readers, Flash Boys has been an eye-opening piece with a true snapshot of the financial market. How is it valuable besides an entertaining insight into high-frequency trading and algo trading? First of all, the reader becomes aware of the whole trading landscape, with its risks and uncertainties. Secondly, it becomes a motivation for diversifying the portfolio and becoming extra cautious to particular markets.Get it. Mr. Carter will help you identify whether you are a good fit for trading stocks. The third chapter reviews tools for traders, although it does not focus on a particular instrument. The book will also prepare you that sometimes it is OK to take a break, relax, and patiently wait for the right opportunity. There is enough of positive feedback from readers who also are swing traders. Get it. Here comes one of the oldest instruments — futures contracts. Either you are new to futures or already started trading this derivative, read our blog post on this topic. Schwager’s second and most recent book narrows down the topic to a complex world of futures. From the technical analysis, trading systems, and fundamental analysis to spreads and practical trading principles, this famous author successfully navigates any trader interested in the futures market.Get it. This is a practical and clear guide to entry and exit positions. The book will instill knowledge about taking advantage of small intraday trends without sophisticated trading software. In fact, it is not for novice traders or those who are looking for the Holy Grail or wants to automate his trading. Get it. The book dives into the topic covering the industry’s hottest topics. It serves business and economics professionals and aids in overcoming the gap between theory and practice. Understand the Black Scholes model at scale. Get it. What should a trader know about crypto trading? First of all, it is the new Internet, and unless one thinks of retirement, should he neglect such a delightful trading opportunity. Secondly, the authors demystify a vast number of ideas that have populated media and common conversations. After reading this book, the puzzle pieces will join and readers will personally benefit from being aware of a new asset class.Get it. Which way of making money in cryptocurrency suits you best. Where should you start if you have only $500. What information about cryptocurrency the experts withhold. How to elaborate a personal strategy, set up your own cryptocurrency business and earn your first $3,000–10,000 in 2018. Get it. Much alike previous works with expert advice on trading, this particular book unleashes strategies on trading a totally new class of assets. Cryptocurrency Trading will explain the pros and cons of long-term and short-term investing in various virtual currencies. It also explains how to store purchased coins, diversify the portfolio, and protect yourself from hackers and phishing. Get it. In fact, we suggest to dig deeper and understand the underlying philosophy of cryptocurrencies. Why did bit-coiners counteracted the bankers? What is the potential of the new mythical technology called blockchain? The legend in Bitcoin space, Antonopoulos not only will share the answers with you; he has been an evangelist of the Internet of Money for years. Get it. Kahneman is a notable psychologist who improved our understanding of decision-making and behavioral economics. The Nobel Committee awarded him with the Prize in Economic Sciences of 2002 for the latter topic. Significantly, his book covers three phases of Kahneman’s career: the early days working on cognitive biases, his work on prospect theory, and his later work on happiness. As a result, it introduces two systems that explain the rain’s formation of a thought: fast and slow. Get it. Don’t take our word for it; leading news outlets described it as “powerful” and a must-read for every leader.” Taking into account that in trading you are the leader for yourself, it might be beneficial to you. Get it. This blissful and intelligent manuscript will settle in your mind and open up a secret to harmony. Ricard’s writing examines years of scientific, cultural and philosophical exploration of happiness and attempts to answer a range of doubtful questions we all have had. It reminds that happiness starts with our attitude and is a foundation of peace of mind. Happiness will greatly assist you in your trading endeavors, both in high and low times. It will help you not to lose mind. Get it. We hope this was enriching. There are enough brilliant authors and we could miss one. Please share a title or an author in the comments to this section if you would like to recommend more books on trading. Let’s remember that knowledge is the best investment everyone is capable of. Bookmap is a professional high-performance trading platform. Over the last few years, it has set a new standard for accurate real-time visualization of complete market data. Traders can track the evolution of market depth displayed with heatmap as a 3rd dimension. Customers include brokers, hedge funds, proprietary trading firms and individual traders. They use Bookmap for trading futures, stocks and digital/cryptocurrencies at CME, Nasdaq, GDAX, and other exchanges.